The territory now forming Bejai was originally under the Cathedral parish for well over 200 years. The long distanced parish church was a great inconvenience experienced by the catholics of there parts and so they obtained from the British government on 21. 11. 1869 a plot of land measuring 5.37 acres at Bejai and also purchased with aid from cathedral 1.78 acre adjacent land. A chapel was built on it. Sundays, mass was celebrated/offered here by a priest from the cathedral. In 1963, due to the efforts of very Rev Msgr F. J. M. Pinto, a girls high school was opened here by the Ursuline Franciscan Sisters. It was catering to education of Girls up to Xth class irrespective of caste and creed. The yester years financial conditions of our Catholics has improved a lot and many opted for English medium. As a result number in Lourdes Girls High School came down and the Ursuline sisters started taking boys also to the high school in the year 1996 and now it is a Co-Education school having the strength of about 350 students boys and girls but very few Catholics. Now the sisters have started a free boarding for poor girls which houses about 25 poor students from different villages who are Catholics. This free boarding is supported by parishioners and to some extent from the parish. The Ursuline sisters have also been running the nursery school from 1960 for small children of the age of 3 and 4 years. This helps the parents because they are working and are busy and also their need of taking care of small children is taken care of. Since 1963 Bejai Church had not seen much progress except flooring and furnishing of the church and maintaining the church. It was with Fr. Bernard L. D'Souza and his dynamic leadership, that Bejai Church saw much progress. He came to this church as a parish priest in 1995. His first adventure was the Bejai Parish hall. The extreme Western portion of cemetery was leveled, permanent graves were shifted to the upper place, the ground was leveled and a magnificent community hall in an area of 35 cents was raised with 52 cents parking place. The hall was well built and artistic and it was built within a period of one year and was inaugurated in December 1997. It has a capacity of 1000 seats, a good stage, a gallery of 100 seats, verandah and on the basement a mini hall with a sound system and seating capacity of 200 seats behind the stage large dressing rooms. It has then cost 75 lakhs of rupees. Fr Joseph Peter Tauro who came here as Parish Priest, made some improvements, two dressing rooms with attached bath rooms, cafeteria, wash basins 2004. In 2008 the hall was again painted at the cost of 2.5 lakhs, old white plastic chairs which had turned back were replaced with new 1000 chairs of Biscuit Color at Rs.2,60,000/-. The hall is used for community purposes, school programs, philanthropic purposes as well for rentals on Marriages and variety of purposes. It is an asset to the parish and is available at reasonable rates compared to other halls. Lourdes Central School: Fr. Bernard D'Souza ventured into a gigantic project of giving students education in CBSE syllabus to prepare them for competitive exams and also opportunity to children who came from abroad who require CBSE education. He started English Medium classes in Kindergarten and 1st class in the year 1999 at eh building of commercial complex. In the meantime the southern portion of the church land was leveled. At the extreme end a massive building was put up on eastern side with three floors and western end with first floor. On the ground floor Principals office, office room, class rooms six in number for kindergarten. On the first floor class rooms, library, computer room and auditorium were made. The rest of the building was left with large halls. The permission for the school was up to IV class only for kannada medium. After Fr. Bernard D'Souza was transferred in May 2003 Fr Joseph Peter Tauro came as parish priest of Bejai and also as local manager of Lourdes Central School. The school had reached 6th class and he got permission for 5th class that too kannada medium as per government policy. Thereafter application was made for English medium from 6th class onwards. Permission was granted by the education department no 134-2003-04 on 28. 11. 2003 through the good office of Sr Benny Pinto. Thereafter we received NOC to run the school under CBSE syllabus from the government through much effort dated 29. 11. 2003. We applied for Affiliation to CBSE, New Delhi. The commission came for inspection on 27.10 .2004. Mr. John Sharma of Gaziabad, Fr Cyril Sequeira of Meerut, Mr. Vivian Sequeiras of our parish helped us in the inspection. 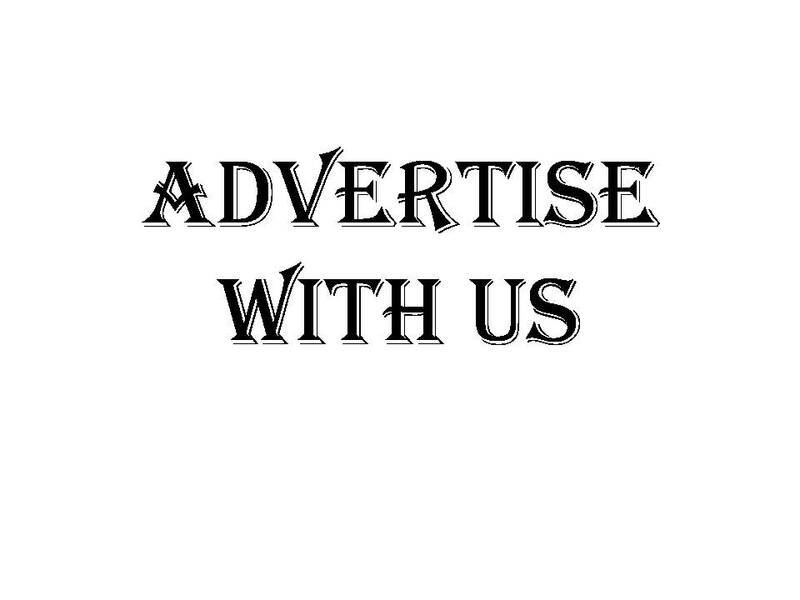 We received Affiliation no. 830120/2005-06 dated 10. 01. 2005 for three years. In the meantime steps were taken to provide facilities; two floors above the auditorium were raised and on the second floor laboratories, physics, chemistry, biology, Mathematics were made, one more room for the computers was made, a large library was made and all these were furnished plus class rooms in second floor and third floor were made and furnished. On the third floor a large A.V room was made. Adjoining the school, an Administrative block was built. On the ground floor principal chamber, conference room, lobby and on the first floor Vice Principals room, teachers room was made. In administrative block and all the facilities were blessed by most Rev Dr. A. P. D'souza, Bishop of Mangalore and inaugurated by Mr. Oscar Fernandes, M.P on 13. 03. 2005. All these infrastructural facilities have cost us 1.5 crore of rupees. Our attention then went to the play field. The entire ground was leveled and in front of the kindergarten block, a barricade across the ground floor was put to prevent traffic and make the play zone free. The ground was provided with a basket ball court at the cost of Rs. 7.5 lakhs. In the meantime we had applied for senior secondary school for science stream. We got permission for senior secondary under the affiliation no. 830 120 dated 14.01.2008. We have started the classes in Science stream PCM computer and PCM biology. The classes commenced on 16.06.2008. We have now applied for commerce stream, which we hope to get early next year. Those who seek admission to our schools should do so in the first week of January in any given year. New Presbytery : We had an old dilapidated, rats, bandicoots infested houses for our priests. Anew presbytery was planned and donation was being collected. It was planned that parishioners will contribute Rs 30 lakhs and from parish another 30 lakhs would be awarded from funds parish hall and commercial complex . The foundation stone was laid on 07.08.2005 after Sunday morning mass by Bishop Aloysius Paul D'Souza, who was on a pastoral visit. We had no proper place to build the presbytery. We chose a piece of land behind the belfry and in front of the belfry and between the connecting passage. The building was planned to have a parking place in the basement facing the Lourdes central school. the basement on the eastern side has a meeting room, watchman and cook's room. On the ground floor on western side we have the office of the parish priest, his living room, the lobby and the church office. Then the passage leading to the eastern side where we have the dining room and the kitchen. And in between the ground floor and basement because of big depth we have built up a meeting hall of about 100 capacity. In the first floor we have two offices of about 100 capacity. In the first floor we have two offices of the assistant Parish Priests and their living rooms. Project took one year four months to implement. The civil works cost us Rs. 20 lakhs. We have spacious house with meeting room facilities and this is used for many useful purposes by the parishioners. It was inaugurated on 3rd December, 2006 on the feast of St Francis Xavier by Bishop of Mangalore Most Rev Aloysius Paul D'Souza. Social Work: In order to meet various socio-economic needs of the people we have appointed Mr. Patrick Braggs, as our social worker with effect from 01.03.2007. He meets various needs of the people like widow pension, old age pension, application and follow up. He also helps in getting gas connections, certification, land survey, land conversion and such matters related to revenue and land. In connection with election, photo identity cards, senior citizens certificates, driving license, passport such other needs off the people are met. He also promotes people for competitive exams, career advancement programs and is resource person for these programs and others. He assists in getting Central and State Government education scholarships, application forms, and enclosures. He is a person much sought after, still we must say that we can bear the winter cold, but not the ingratitude of the people. Marriage Bureau: The parish priest has been running a matrimonial bureau for past several years. It is free service wherein we are maintaining the bio-data of boys and girls of marriageable age and of those who desire to register. The bio data are published in our Izoicho Kolo which is published four times a year. People who read the Bio-data come to take the details of matching boys and girls. We do not involve in match making which is time consuming and not possible for us. some match makers also make use of the bio-data available with us. Izoicho Kolo: Bejai has been famous for writers. We have been publishing the parish magazine for the past several years. Main objective is to bring unity among people, bring awareness among people in various issues, educate people in matters of faith and other useful things especially to give an opportunity to people, youth, children to write. 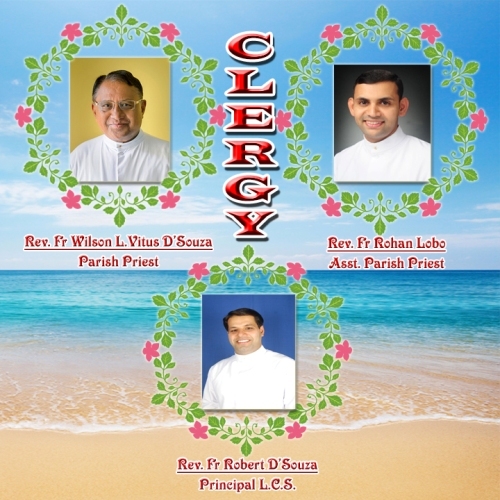 This parish magazine is published and is supported many advertisements. But writers are far too few and there are no new writers coming up. Our Associations: We have the St Vincent De Paul society which takes care of the needs of poor. We also have the Catholic Sabha which involved in creating political awareness, political action, socio-economic action and others. 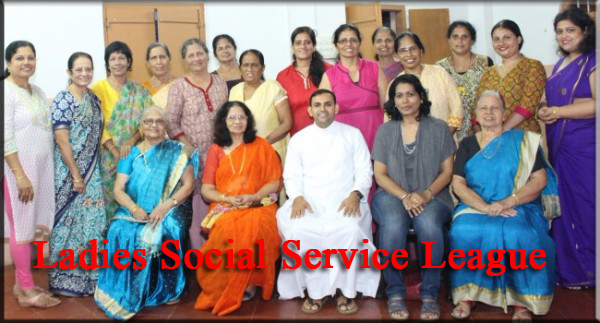 Apart from this we have the legion of Mary, ladies social service league, third order of St Francis Assisi, Indian catholic Youth Movement, Young Christian students, Christian Life community, all involved in formation and spiritual activities. Our Projects: In order to meet the need of space of increasing the congregation, especially for feast days we have planned a new portico for our church which is spacious and artistic. The cost of building materials being high, the estimated cost of the New portico will be around Rs. 15 lakh. We have a 10 KVA generator which was gifted to the church which is 10 years old. There is frequent power failure and power interruption and load shedding. the congregation of people want all the fans and lights to be on, on Sundays, feast days especially for weddings and Jubilees and as a result the generator gets overloaded and breaks down. We are forced to hire out a generator to meet the requirements of electricity. Hence we have the urgent need to install a 20 KVA generator which will cost us with installation charges Rs. 5 lakhs. Generous donors are requested to come forward to make donations. Often and on the request from the poor has been "give us small house". the needs of poor roti, kapada can be met by themselves and also we can supplement, but shelter to be provided, is a basic need but very costly. If someone were to give us 10-15 cents of land, we can build two to three storied buildings with flats of single bedroom, kitchen, toilet, drawing room. We have to mobilize funds for this. This is a urgent philanthropic need of the people and to build a small house presently costs minimum Rs.1 lakhs. We wish to implore large hearted donors for this project to gift land and money for the project. These will welcome us in the Heavenly Abode of our Father.